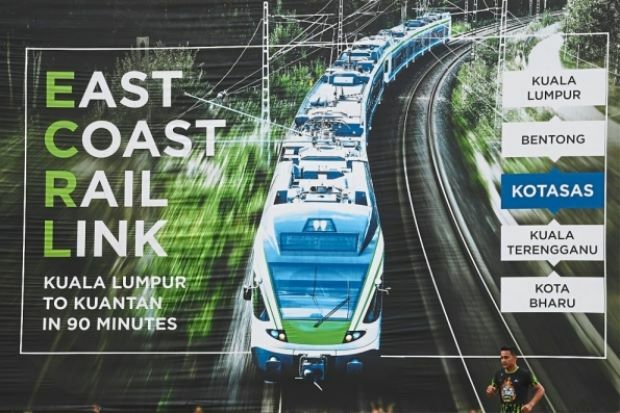 The question mark hung above the East Coast Rail Link (ECRL) project is now resolved after both parties, Malaysia Rail Link Sdn Bhd (MRL) and China Communications Construction Co Ltd (CCCC), have agreed to reduce the cost from RM66 billion to RM44 billion. Following the announcement from Prime Minister’s Office, MRL and CCCC have signed a Supplementary Agreement (SA) to pave the way for the resumption of the ECRL project. 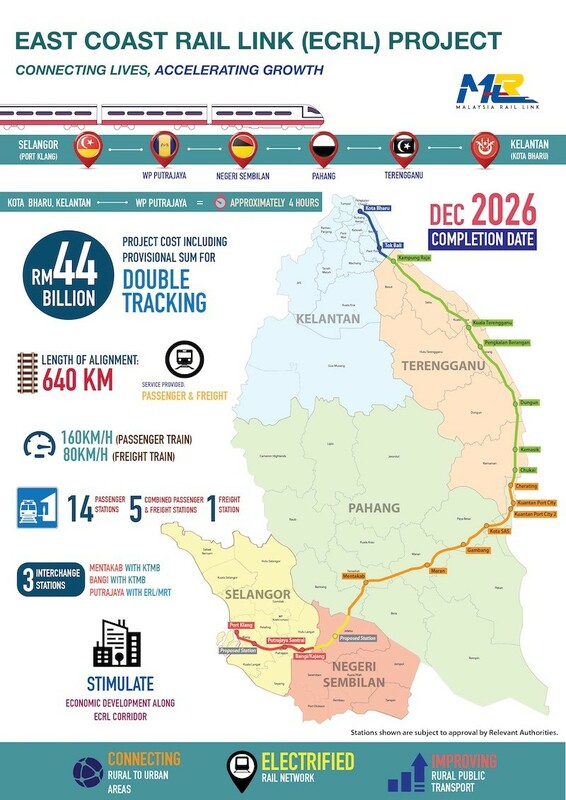 With the reduction of RM21.5 billion, the original distance of 688km will also be cut to 648km and the double track rail will start from Kota Baru to Mentakab, Jelebu, Kuala Klawang, Bangi, Kajang, Putrajaya and ends at Port Klang. To answer the speculations that Terengganu would be left out of the new ECRL routes, The Council of Eminent Persons Chairman Tun Daim Zainuddin said that Terengganu is not being bypassed as six stations will be built in the state. The stations will be located at Chukai, Kemasik, Dungun, Pengkalan Berangan, Kuala Terengganu and Kampung Raja. 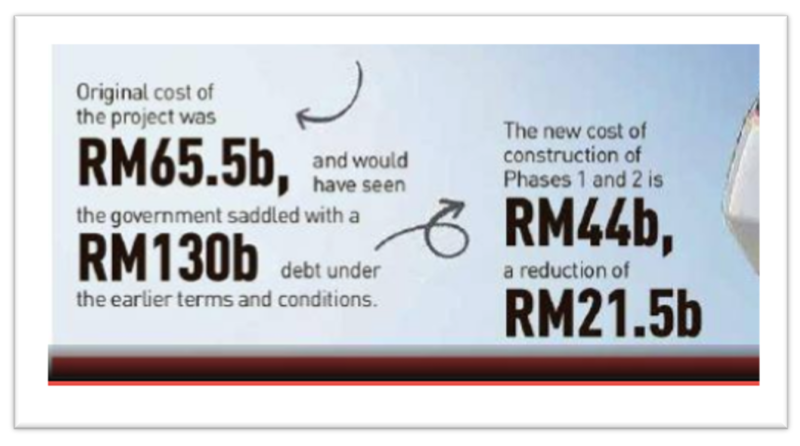 Previously, Prime Minister Tun Dr Mahathir Mohamad said if the former government’s plan were to be followed, the government would be saddled with RM130 billion debt.